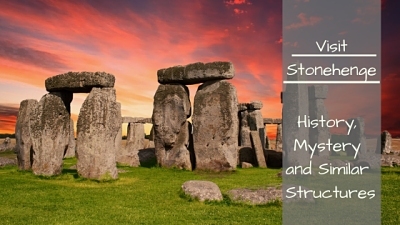 Do you want to find out why people visit Stonehenge? Well, I would say because is mystical, non-rational and mysterious. Visit Stonehenge with London Transfer Minicabs and get impressed by the most famous stones in the world. Visit Stonehenge circle and stop by the visitor center to discover even more. Before Stonehenge, there was a structure formed by 5 cavities, dated between 8500 and 7000 BC, in the Mesolithic period. The first known important event related to the construction of Stonehenge was the making of a round duct, in C 3000 BC. The enclosure had about 100m in diameter and the scholars discovered that around 150 people were buried within. In 2500 BC, two types of stones were planted at the core of the monument: the massive sarsens and the smaller bluestones. After around 300 years, the bluestones were rearranged and the Avenue canal was built, linking Stonehenge with Avon River. Today, each standing stone measures around 13 feet (4m) high and 7 feet (2.1m) wide. The monument was privately owned until 1918, when it was gifted to the nation, by Cecil Chubb. Nowadays, the English Heritage is responsible for Stonehenge and its maintenance, on behalf of The Crown. We will probably never know the whole truth about Stonehenge’s origin, but that makes it even more fascinating. Book your private minicab tour with London Transfer Minicabs and visit Stonehenge in comfort, also enjoy a magical trip.